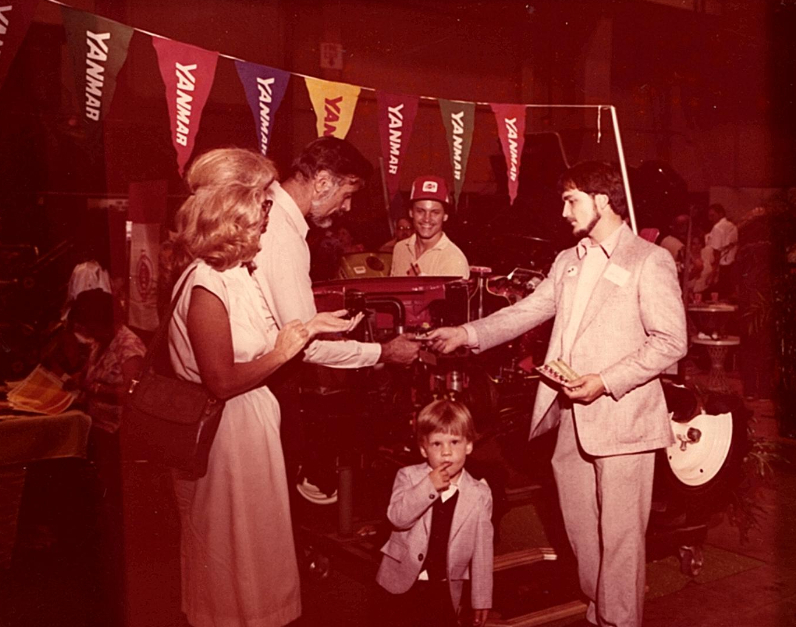 Degen's Lawn & Garden, a third generation family owned and operated business, was established in 1967, by Robert Angelotti. Robert, purchased the business from, Ed Degen, who at the time was running a profitable push reel blade sharpening service. After a few years, Robert, decided to return to his passion of Volkswagen automotive repairs. His son, Terry Angelotti, then spent the next 35 years building a successful outdoor power equipment company. Terry's son, Wesley Angelotti, whom as a teenager, worked at Degen's during the summer months learning the family business was to be the next successor. Upon his graduation from the University of Central Florida in 2002 the transition for, Wesley to follow in Terry's footsteps began. In 2007 Wesley officially became the third generation to proudly serve South Florida by providing exceptional service to both homeowners and professional landscaping companies. Our sales department, with a combined experience of over 20 years, will take the time to answer all your questions to ensure we match you to the correct piece of equipment for your specific needs. Our state of the art service center is staffed with knowledgeable factory authorized technicians. We offer a quick turn-around time with reliable results. Authorized warranty repair center for most top brands. Our parts department is stocked with a wide selection of OEM parts. Our friendly staff with assist with parts look-up to make sure you get the right part. We truly believe in supporting our local community by giving back. We take pride in the fact that Degen's Lawn & Garden has been in the same location for 50 years with strong ties to our community. 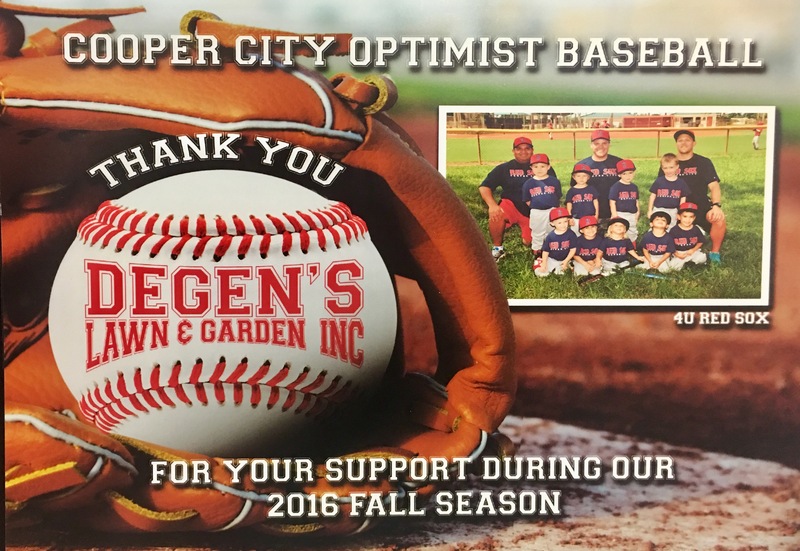 Whether it's sponsoring youth programs or volunteering our time Degen's Lawn & Garden is committed to our customers and community. First time writing a review. Experience at Degen's was first class, and after reading some of the head scratching reviews a 5 star rating and review was well-deserved. I've owned a Toro Zero Turn riding lawn mower for about 5 years. I would like to think of myself as pretty handy, and I have done the regular maintenance to the engine and mower. And working on cars I would think that I can easily fix my Toro. Well I was wrong. The issue, which was confirmed by 2 other establishments (3 including Degen's), was the transmission and that it wouldn't go into gear....and ultimately needed to be replaced. I was just on the fringe of making the trip to HD and just buy another mower on the good ol' credit card. BUT Degen's came through...cost to fix was HALF of what the other 2 places charged and was done in 2 days. You don't really find the mom & pop stores anymore....I am glad they are still around. 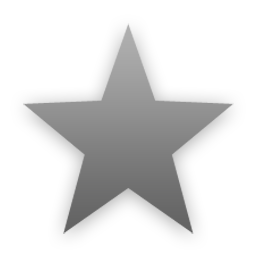 THANKS for your service & Keep up the Good Work!!!!! !